Bianca has a Masters Degree in Clinical Psychology from Flinders University. She sees people of all ages for a broad range of presenting issues. These include depression, anxiety, personality disorders, bullying, grief, alcohol and drug addictions, trauma, sleep disorders, self esteem problems, work/study challenges, relationship break ups, obsessional thoughts, and phobias. 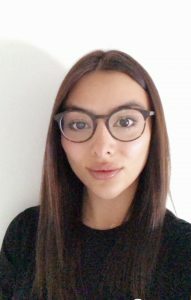 Bianca has particular expertise working with adolescents and emerging adults including those presenting in crisis and with complex presentations such as background trauma. Bianca has previously worked in both private facilities and public community mental health. Bianca’s approach to therapy is individualised for each client and collaborative in style. Her treatment approach is supported by evidence-based research. Her therapy techniques are informed by the fields of cognitive behavioural therapy, acceptance and commitment therapy, dialectical behaviour therapy, cognitive processing therapy and positive psychology. She aims to help individuals further develop their own resources to better manage their thoughts, feelings and behaviours. Bianca is a full member of the Australian Psychological Society and is a registered provider for Medicare, TAC and WorkCover. She is able to conduct psychometric testing if required. Bianca works full time from Tuesdays to Saturdays.